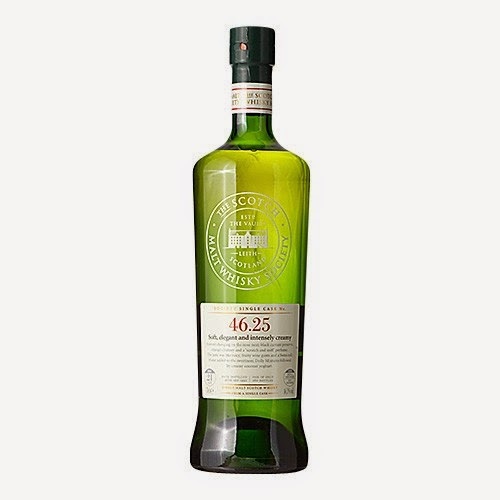 This SMWS whisky is called ’Soft, elegant and intensely creamy’ and comes from a Refill Hogshead which resulted in 260 bottles. The smell has notes of white wine, dry wood and sweet fruits. The taste is great. Like white wine, just at 46,3 %. Also a bit like the white gummy bears from Haribo. The finish dies out a bit fast, but is still very smooth and gentle. This would be great alongside a starter or as a “welcome” whisky. I will give this 87/100 (22/23/21/21).